PaulB Wholesale delivers products all over Pennsylvania and elsewhere, from sprayers, pumps and nozzles to trailer parts, welding supplies, and power transmission. We have many weekly routes and some that we travel bi-weekly or monthly. 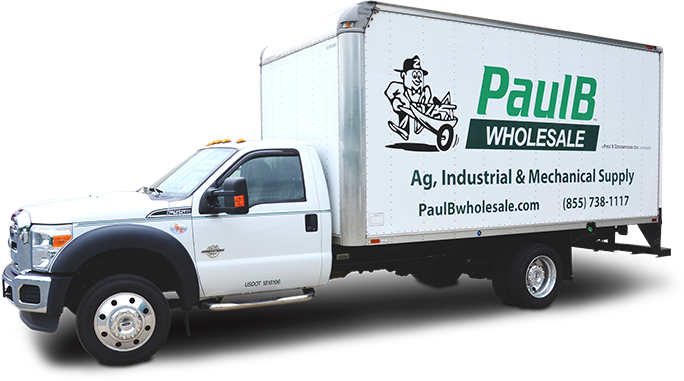 Many PaulB Wholesale customers are within driving distance of our delivery trucks and appreciate our generous cut-off time for orders, and free delivery for qualifying orders. We also have freight arrangements for businesses in Indiana, Virginia, New York, Ohio, Kentucky, Wisconsin and many other states. Parcel shipping through FedEx and UPS is another big part of how we help our customers meet their last-minute customer demands.